Physical description: v.: ill. ; 24 cm. Annual. 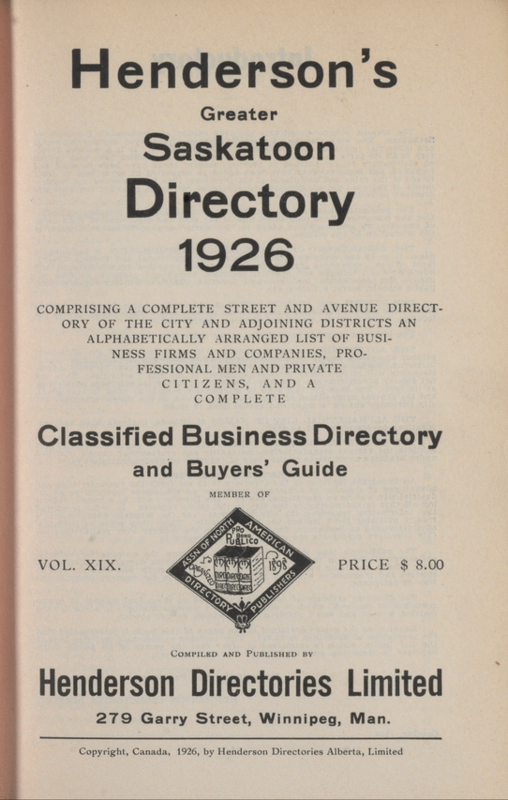 Spine title: Henderson's Saskatoon directory.